Introducing our gorgeous ladies Duchess sheepskin slippers, made using luxurious sheepskin and featuring a durable slip-resistant sole. 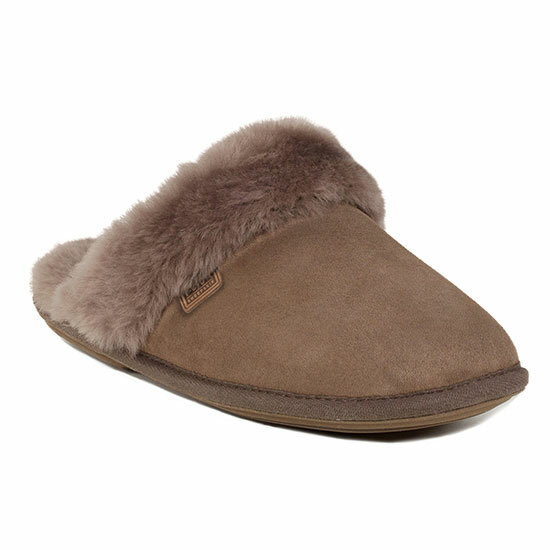 They offer maximum comfort and warmth and are available in a range of colours, including the classic Chestnut and this year's new colours; Rose and Dove. The Duchess also now features our newest innovations; DREAM step gel infused memory foam and J.U.S.T GUARD for built in water protection and water resistance*. *Please note that the Tweed Duchess only has DREAM step Gel Memory Foam.